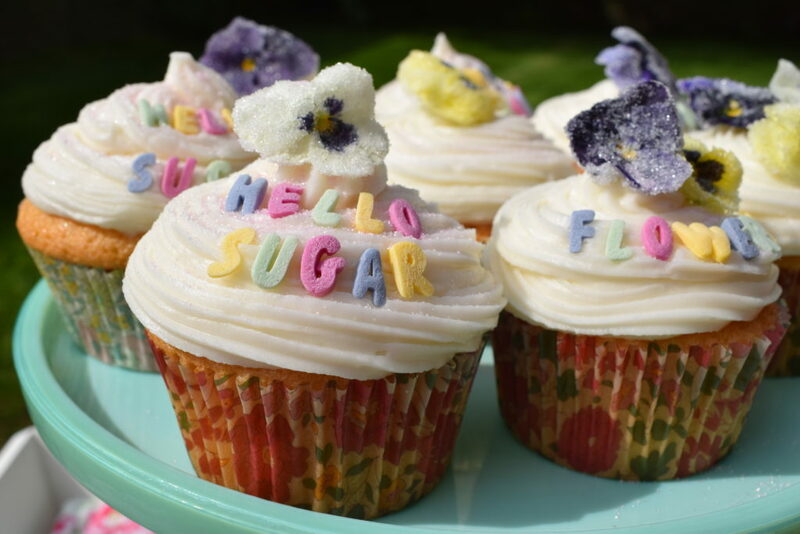 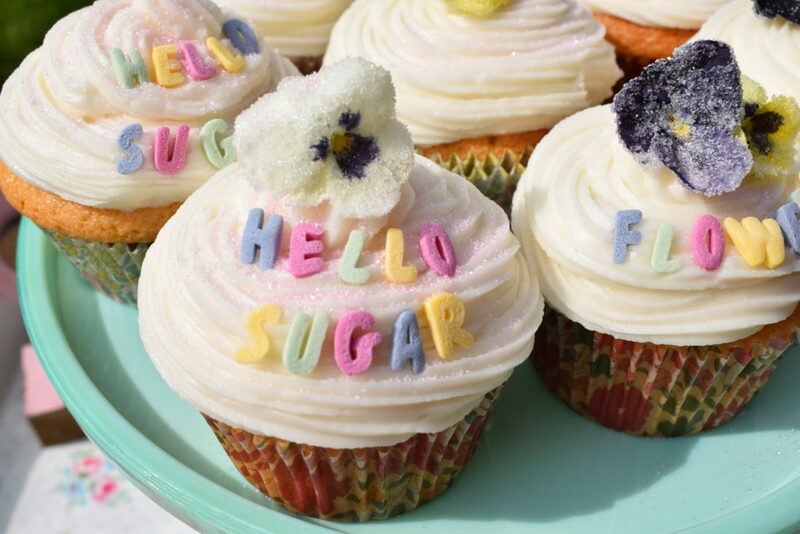 I decided to make some sugared flowers to decorate the cupcakes and also used some cute little sugar letters from Asda. 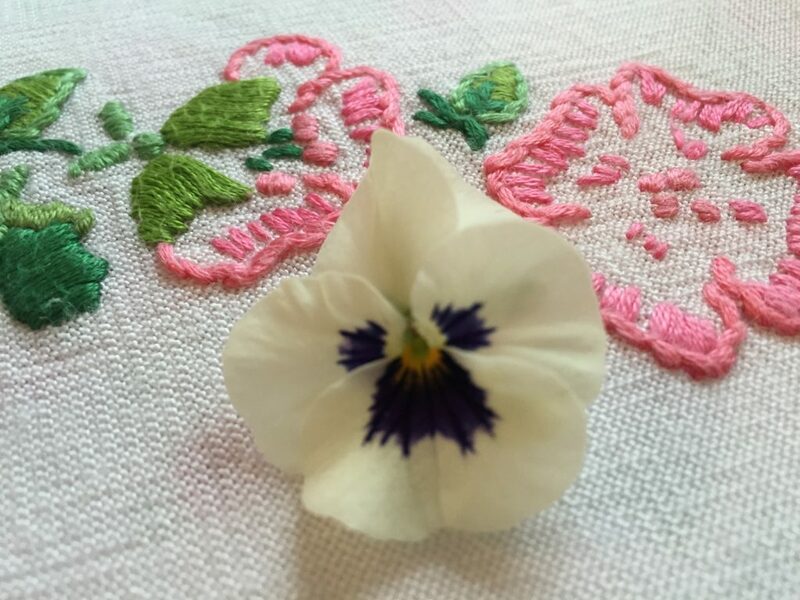 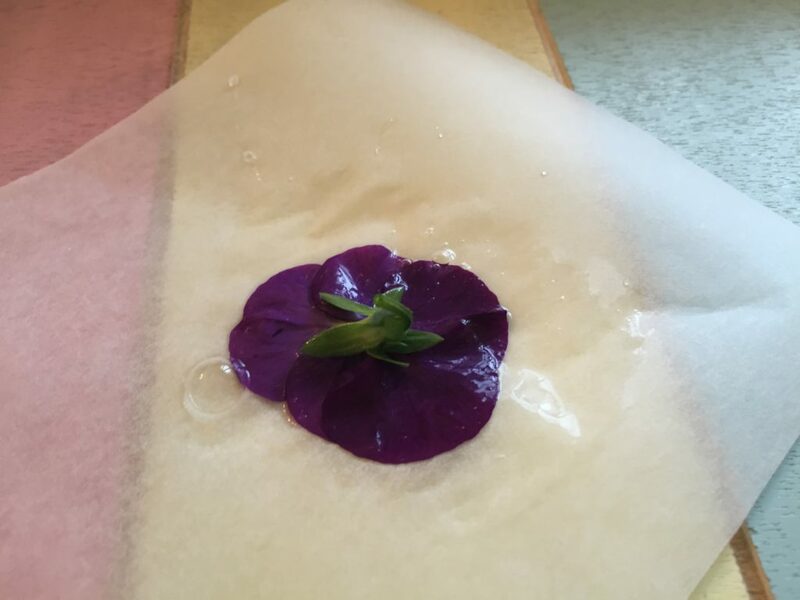 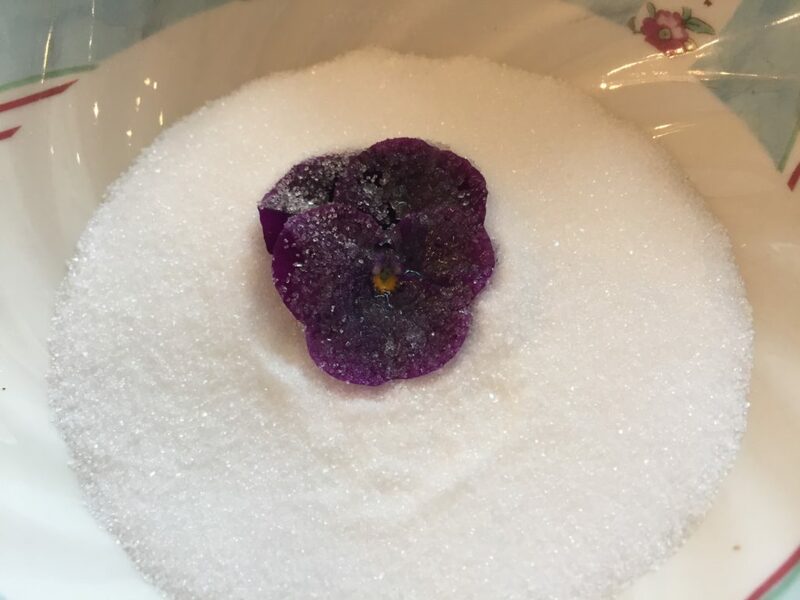 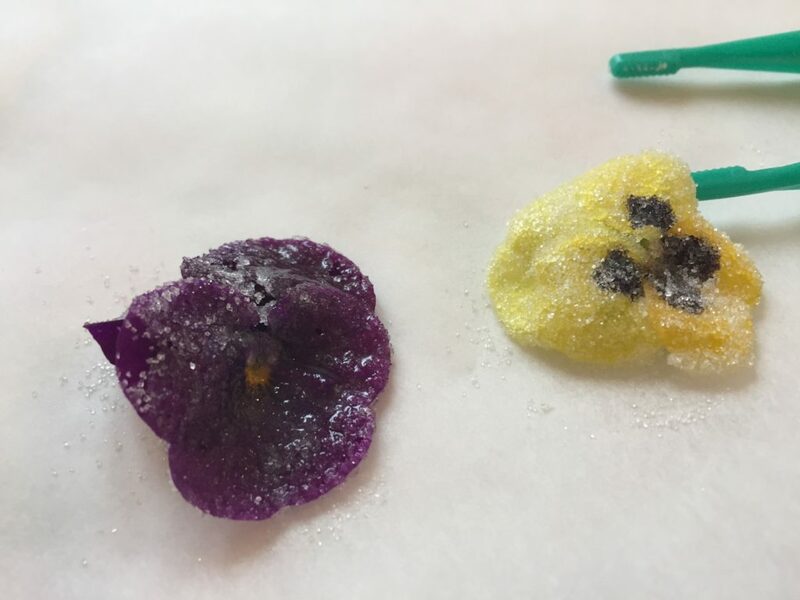 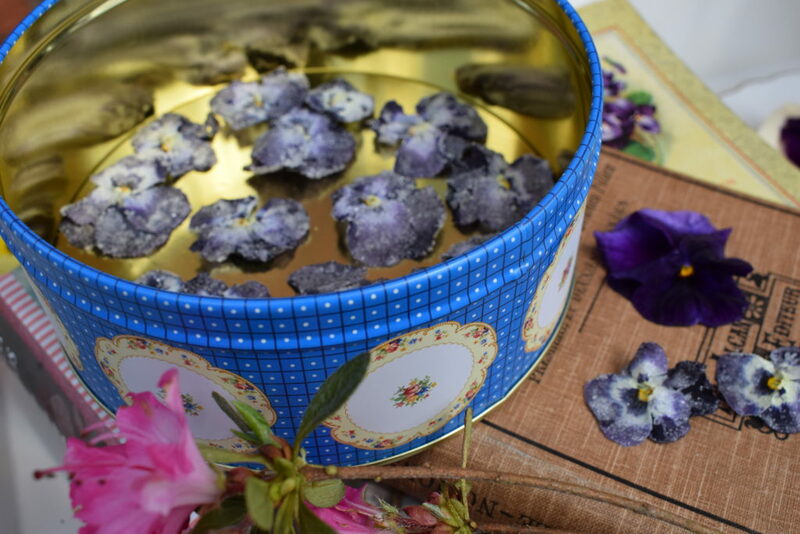 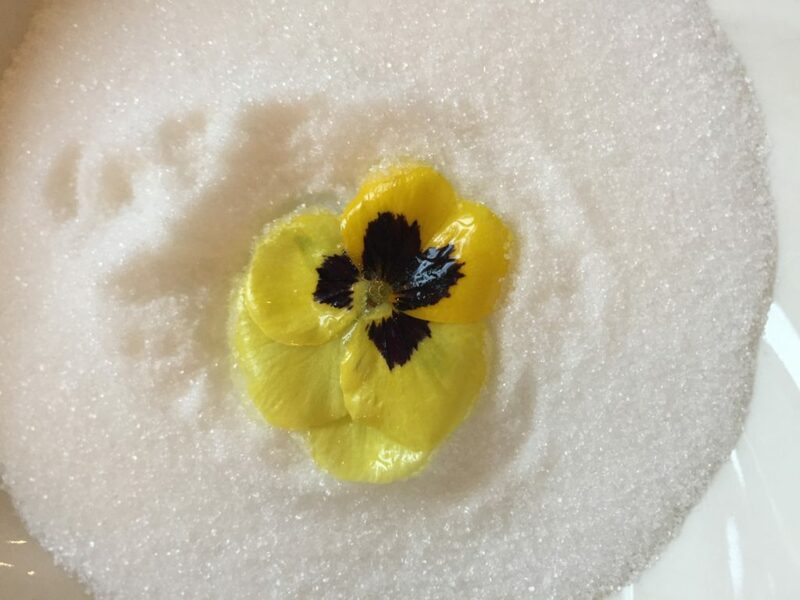 For the sugared flowers you need to buy edible flowers from someone who knows that you intend to use them as a food item so that they haven’t been treated with pesticides. 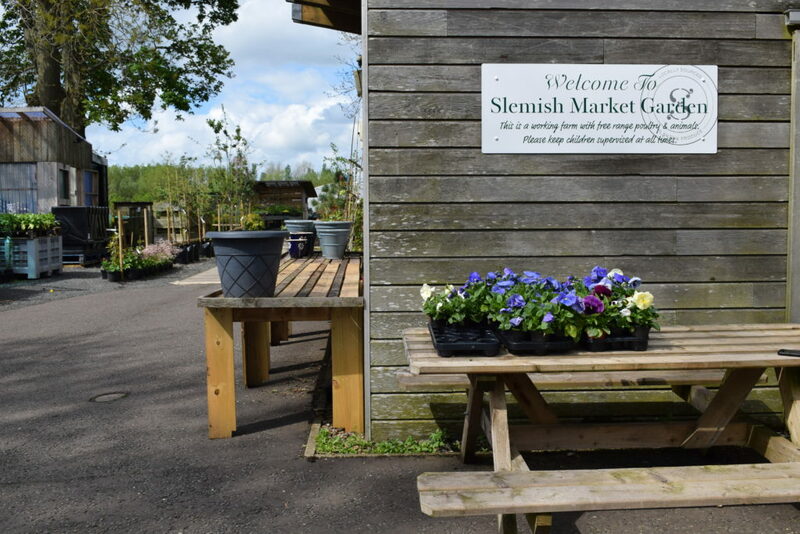 I got them locally from the fab Slemish Market Garden. 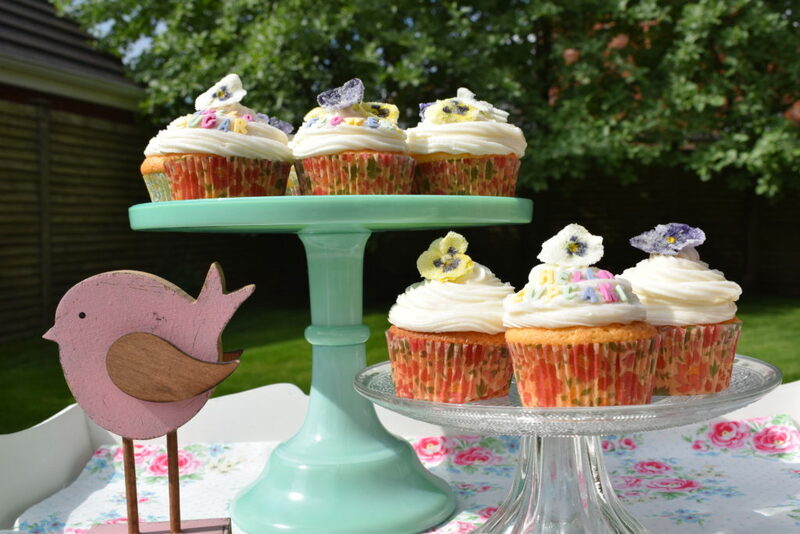 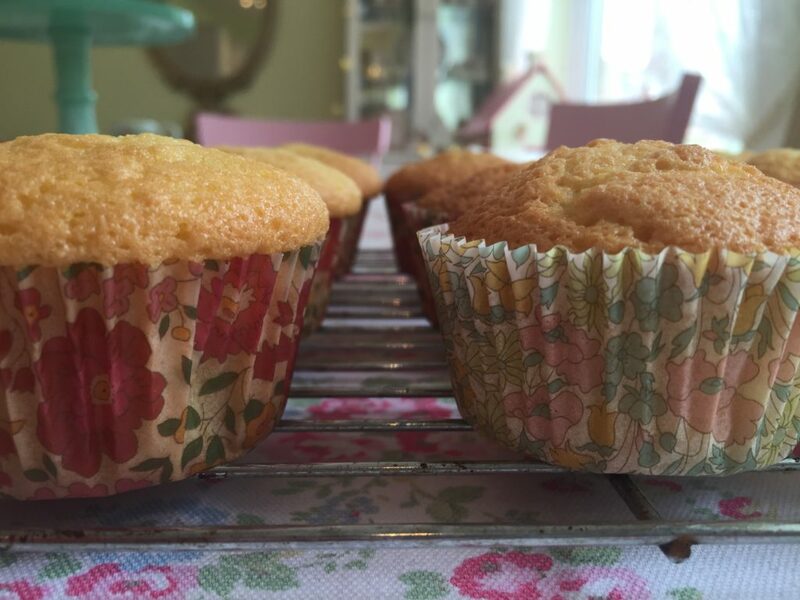 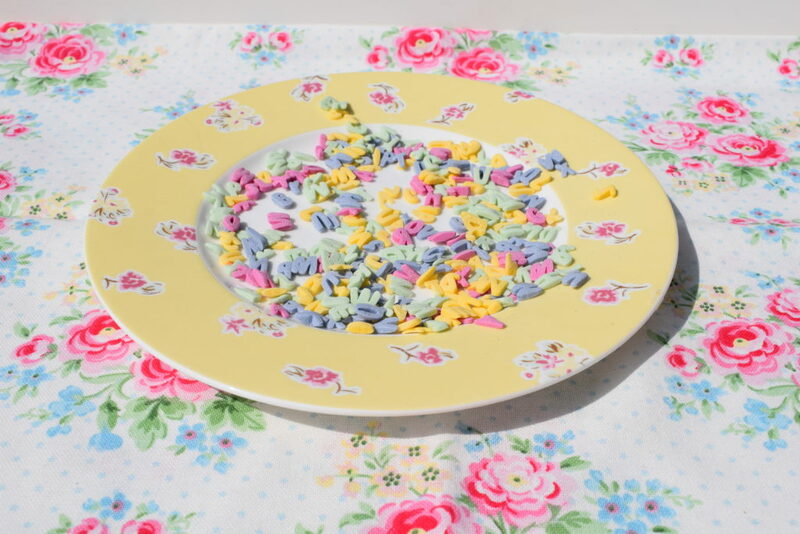 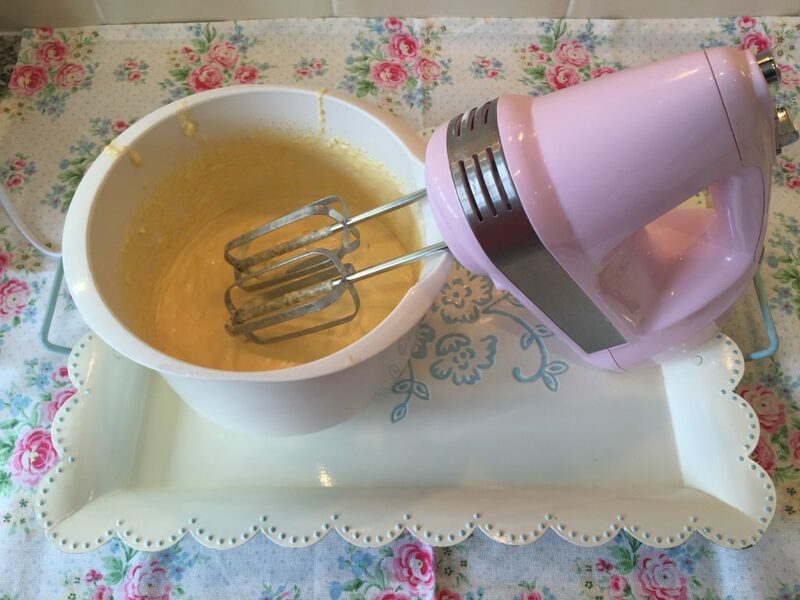 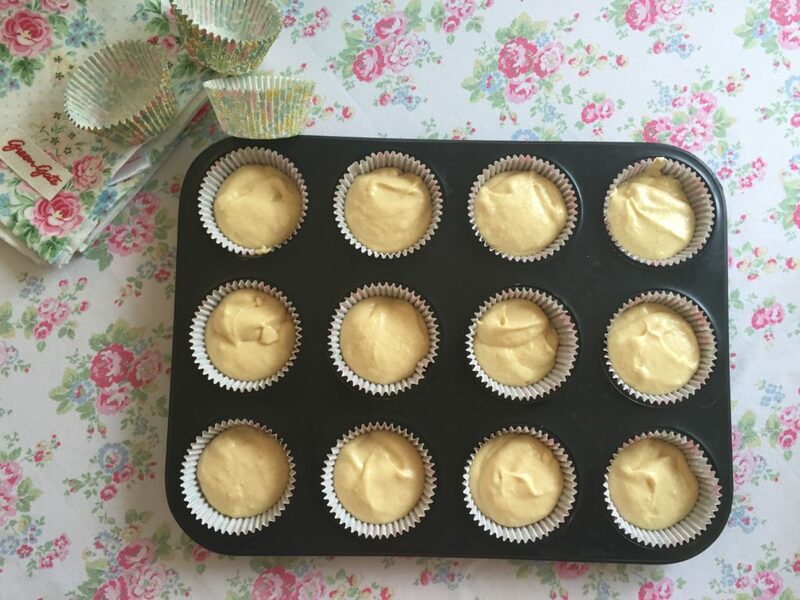 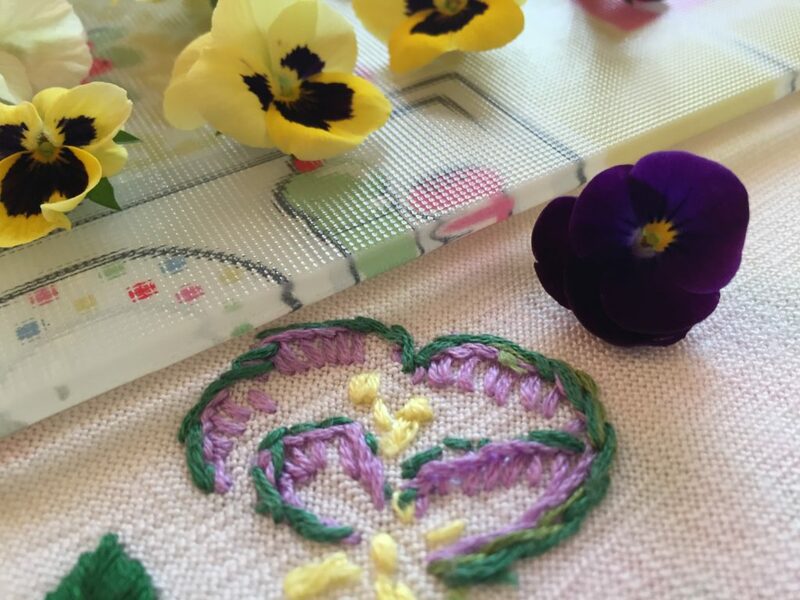 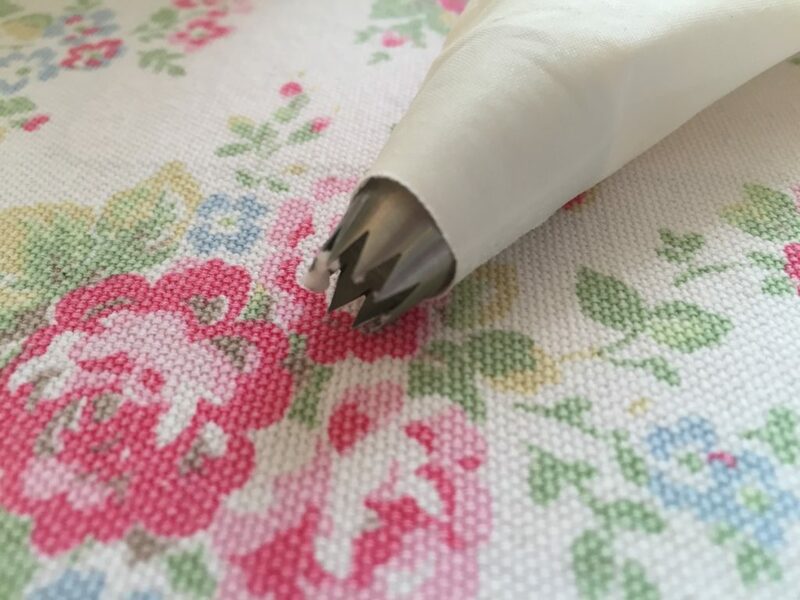 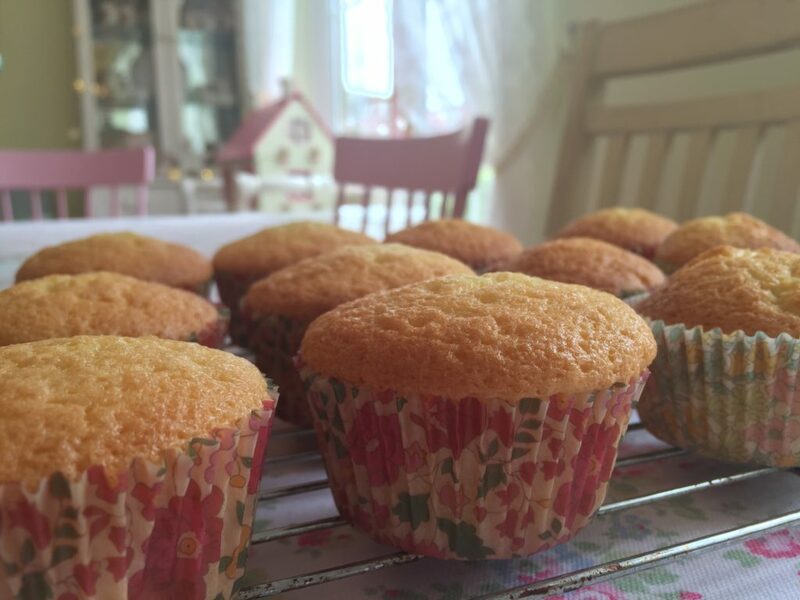 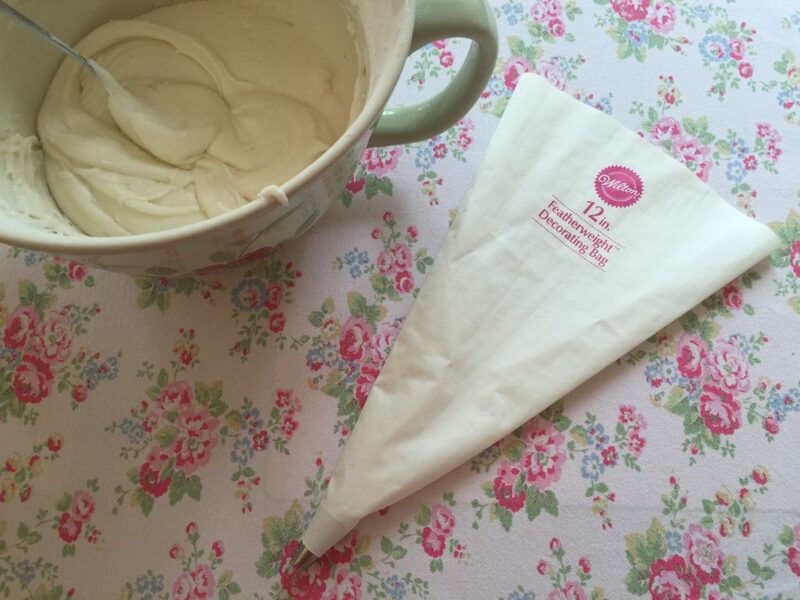 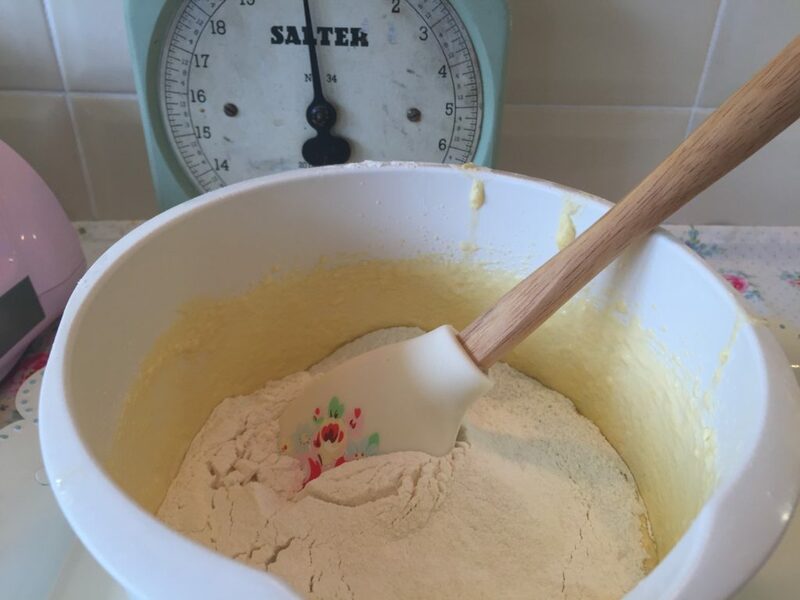 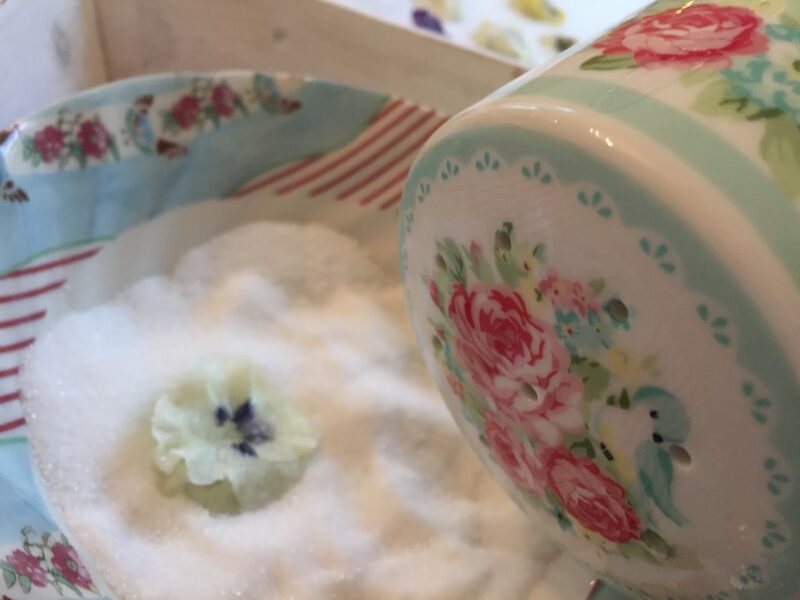 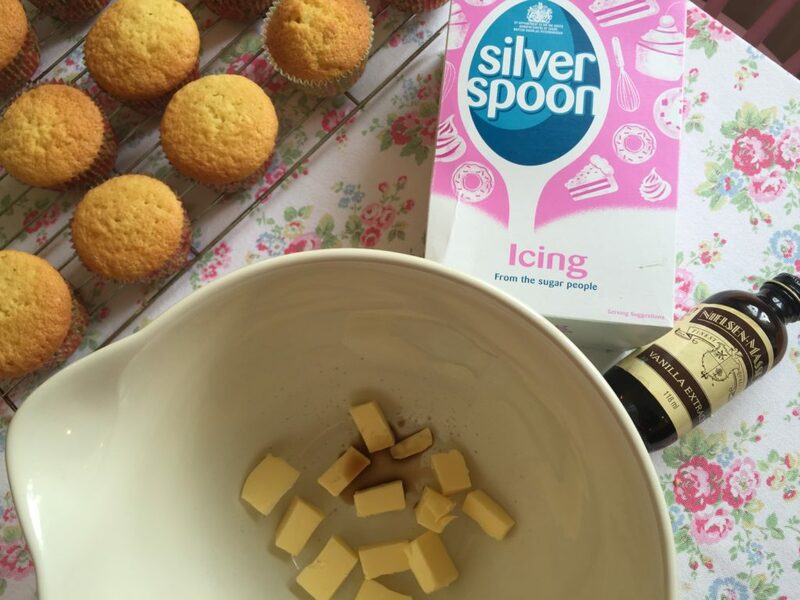 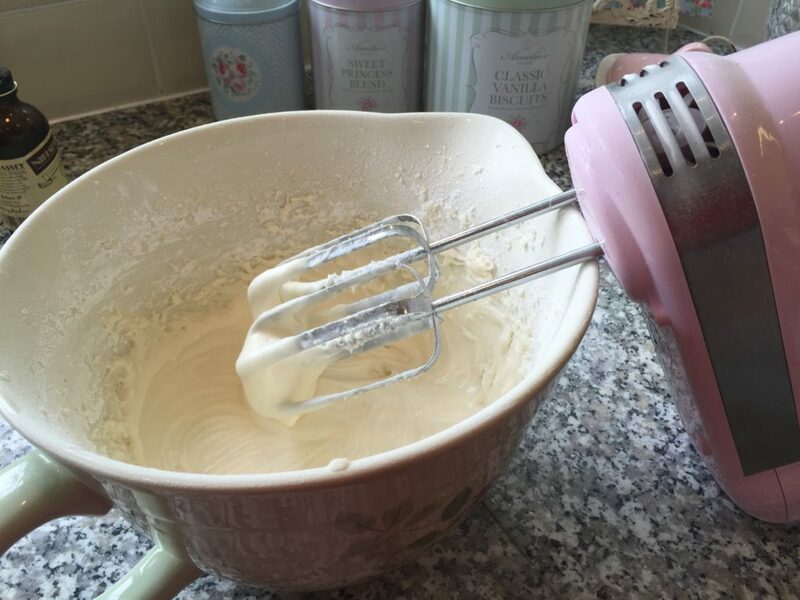 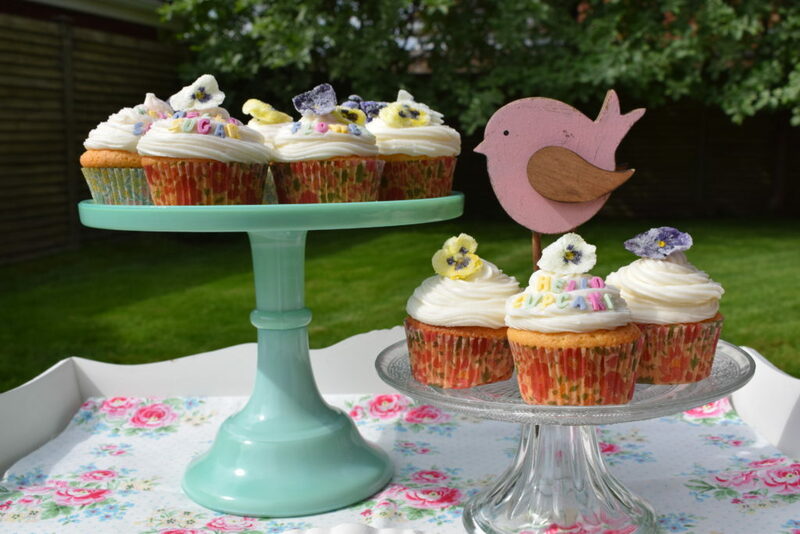 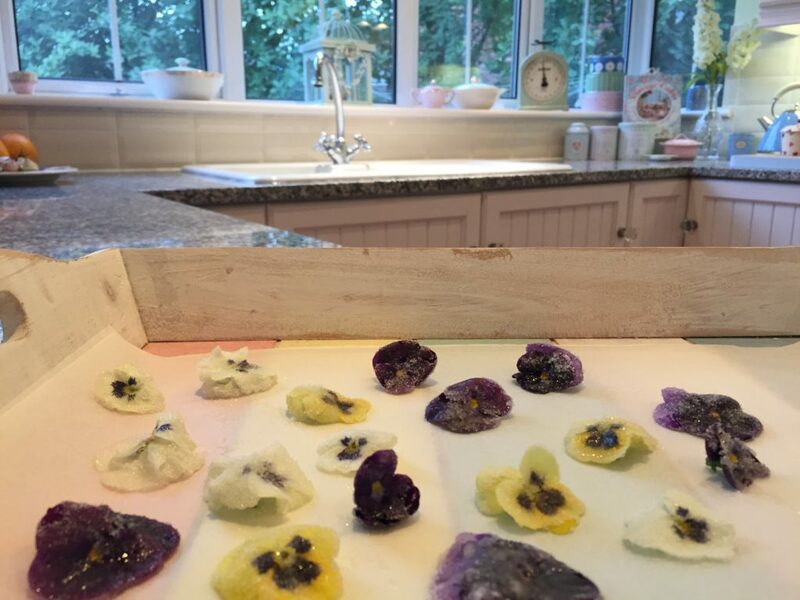 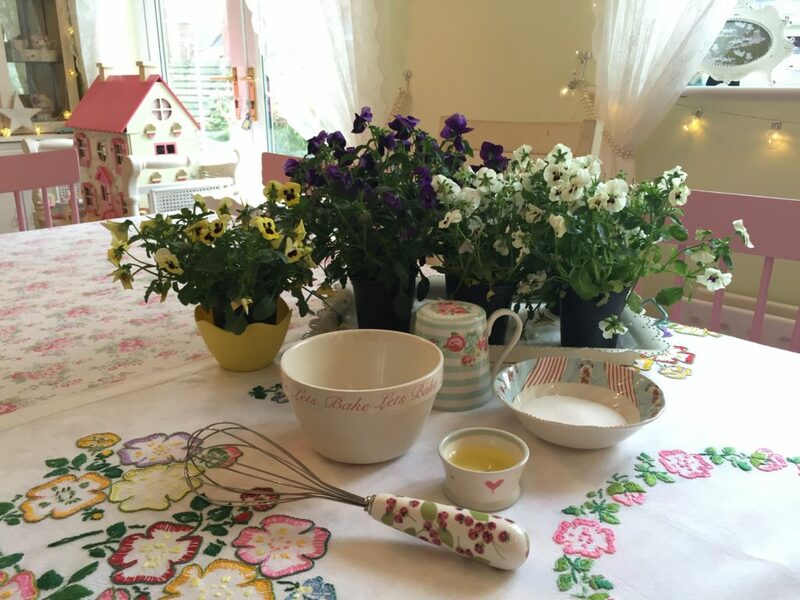 These are lovely to decorate cakes and desserts just as they are and I used them like this for another blog post which I was writing for Laura Ashley but I wanted to make some sugared ones as well as they can be stored in a sealed container for up to 3 months. 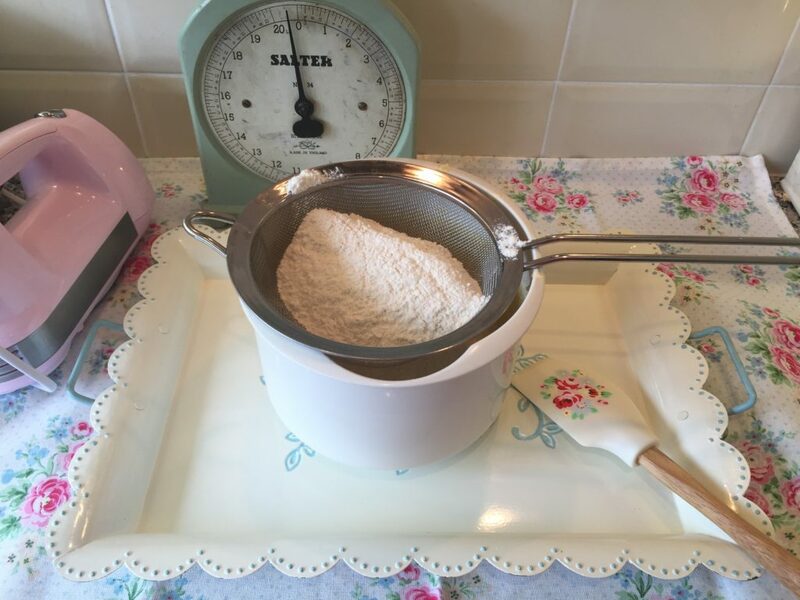 I’ve taken some step by step pics to show you how to do this. 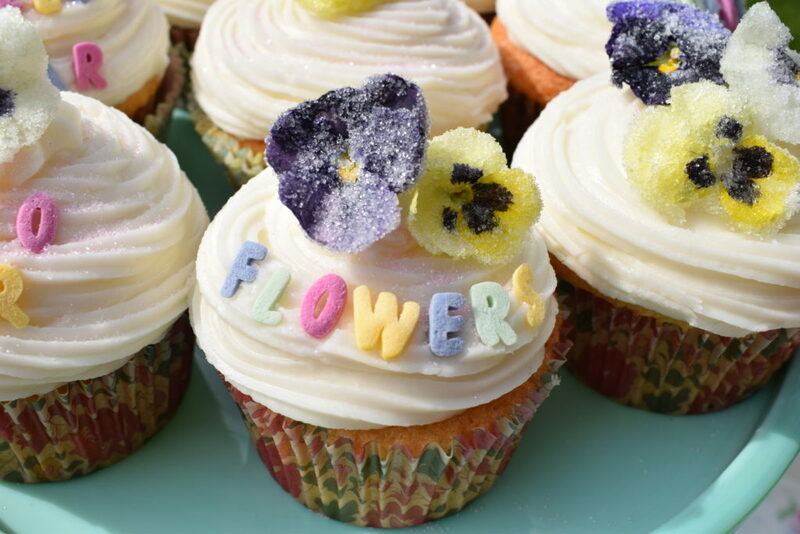 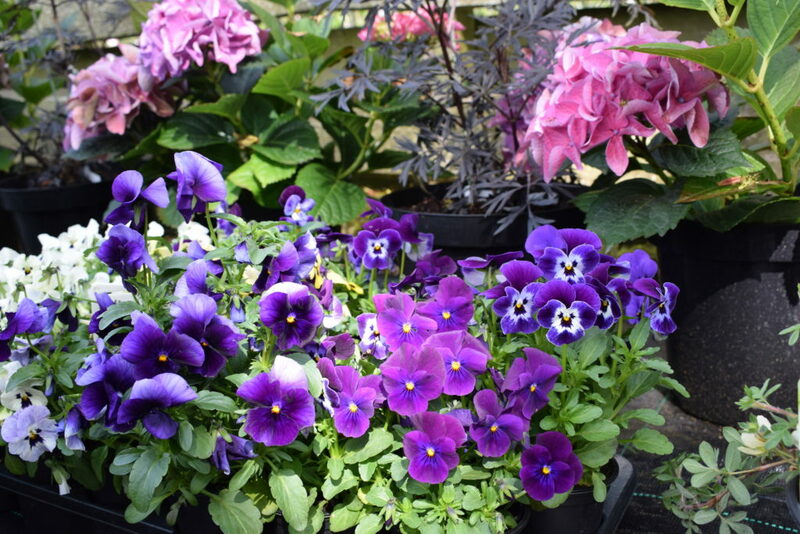 Choose flowers with nice clean petals and snip them off with scissors placing them all on a tray or board. 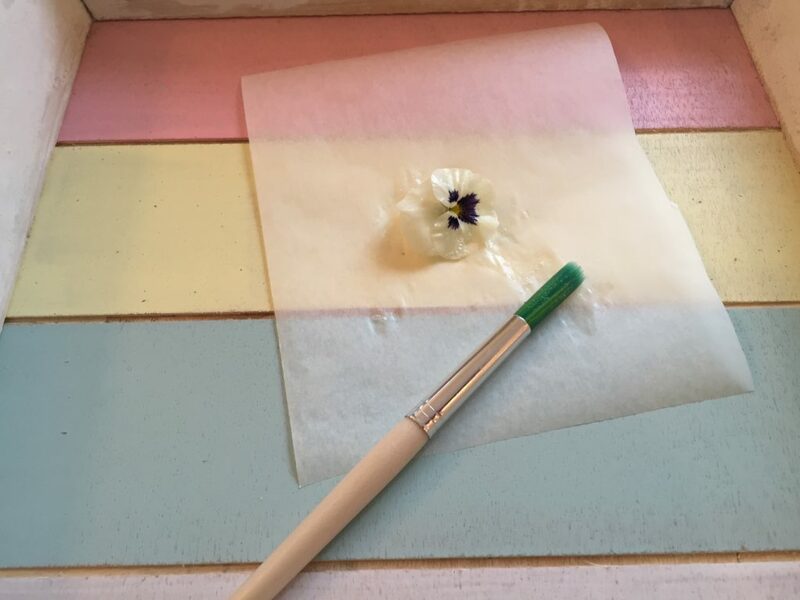 Gently whisk one egg white with a tablespoon of water to form an egg wash and then use a small paint brush to cover the petals. 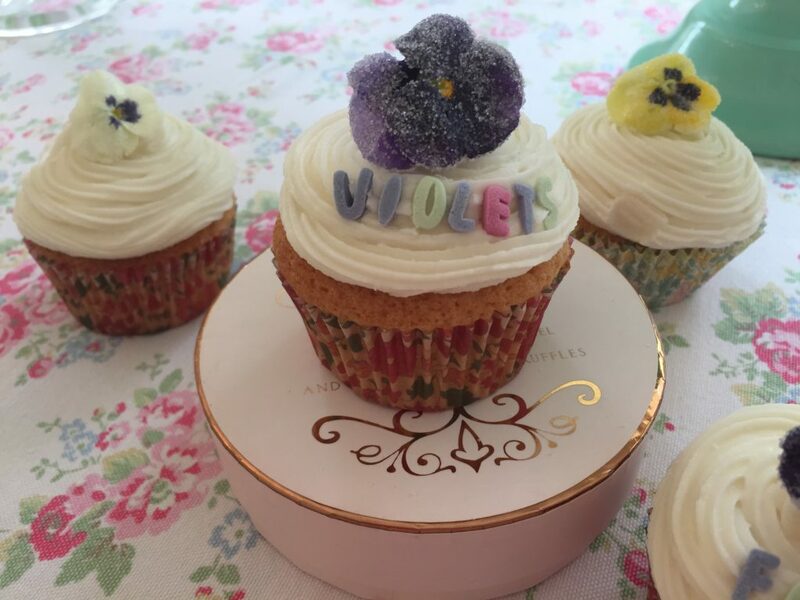 Once dried put them into a sealed container and they are fab to have at hand for decorating cakes, biscuits and desserts. 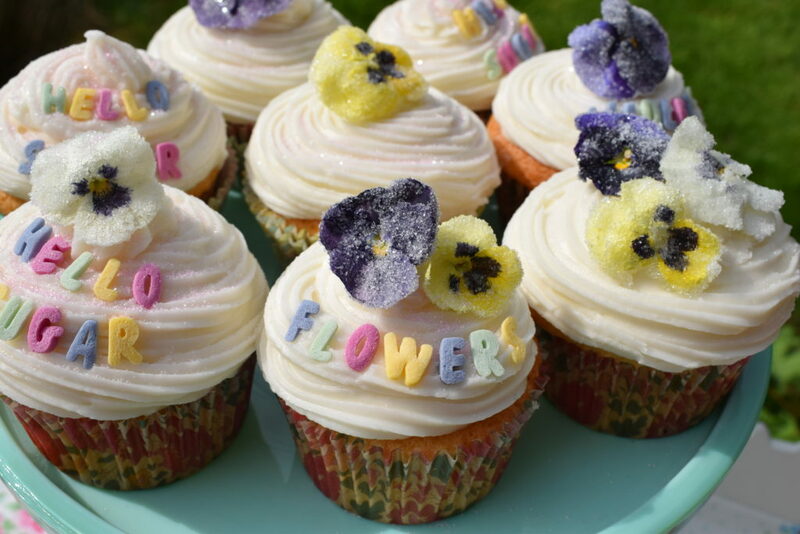 Now I’m off to eat one with a cup of tea!